Animal Wildlife | Emu | The emu is the largest bird native to Australia and the second largest bird in the world, behind the ostrich. 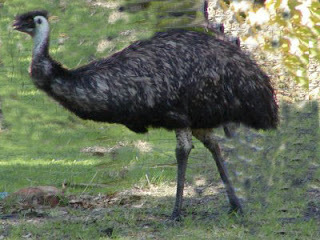 The emu is most commonly found in wooded areas but emus are common all over Australia. Studies show that emus seem to avoid dense forests and largely populated areas, as this means that the emu can be more aware of it's surroundings. Although the emu does prefer to be in woodland or shrub land where there is plenty to eat as well as cover, they like to know exactly what is around them. 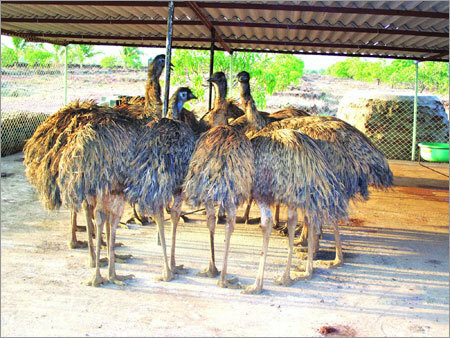 In Australia there are enormous emu farms where the emu is bred for meat, oil and leather. Emu oil is said to hold medicinal healing properties when rubbed onto painful joints and is commonly used across the world mainly for sports injuries but also arthritis. Emus can grow to nearly 2 meters tall and have have extremely soft feathers. 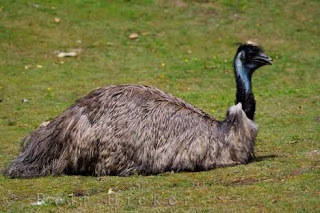 Emus are flightless birds mainly due to their enormous size, which means that they are just too heavy to fly. Emus are nomadic animals which means that they rarely stay in the same place for long. This travelling lifestyle means that the emu can make the most of the food that is available and emus are known to travel long distances in order to find more food. Emus are omnivorous birds feeding mainly on fruits, seeds and insects. Emus are generally found close to water and are therefore not keen on more arid regions. However, the introduction of better water supplies to inland Australia has meant that despite the population decrease of the wild emu, their range has expanded. Emus have long necks and long legs in comparison to their body size. The long, flexible legs of the emu mean that the emu is able to run a high speeds, with emus generally running at around 25 mph. 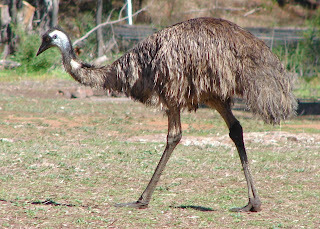 Emus however are able to reach a top speed 30 mph in short bursts should the emu need to get away quickly from a dangerous situation. Emus have few predators due to their large size and fast speed. Emus are most commonly preyed upon by wild dogs and crocodiles and are hunted by humans. 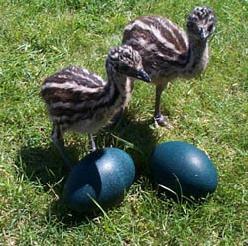 Emu eggs are eaten by many animals including dogs, birds of prey and large reptiles. 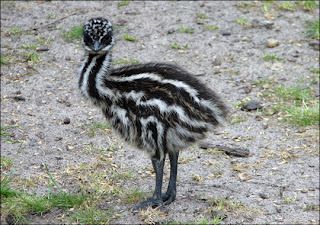 Emus tend to live for between 10 and 20 years in the wild, although it is not uncommon for an emu to be more than 30 years old, particularly when in captivity. Emus are known to be very versatile animals and can easily adapt to many different environments.